We have for you low cost Prices, at the same price during the day, night and public holidays, without extra supplements or surprises. Please remember that fares are per vehicle, not per passenger. The maximum capacity is four passengers per vehicle. 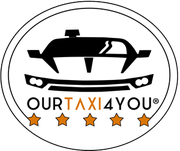 If you don't find your destination, or want to make another consultation, you can use the Contact Form or email info@ourtaxi4you.com or to visit our FAQ'S section. Benefit from our promotional Offer only now! If you hire the round trip, you will get up to 20% discount on the return journey to the airport. You mustn't advance anything when booking. Payment will be made at the end of each service. We accept cash (€) or credit card (VISA or MASTERCARD). List of rates in euros (€). VAT included. Does not include bicycle supplement. 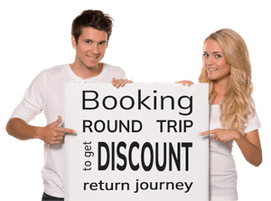 * Price of the return trip, applied a discount of up to 20%, when booking the round trip (one way + return) at the same destination. One way: From the airport to the destination; Return: From the destination to the airport.